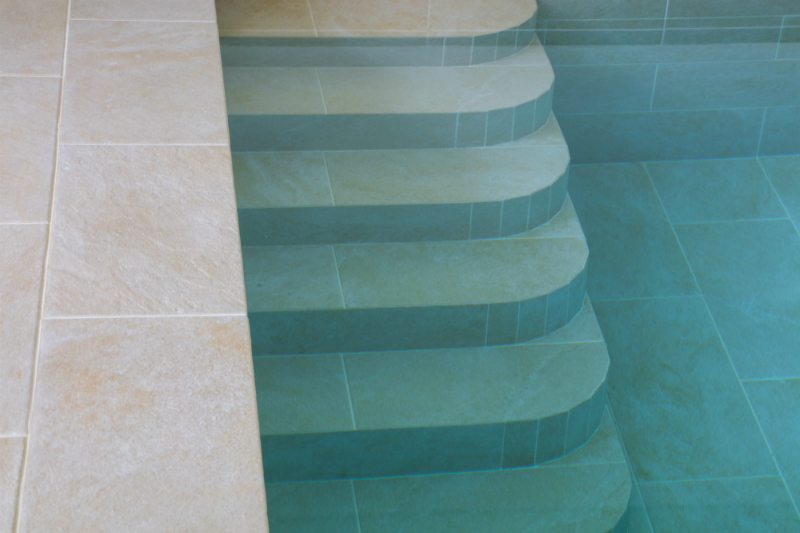 In the Autumn of 2015 a highly valued repeat customer invited us to submit a quotation for the wall and floor tiling package on a proposed new build swimming pool building and its external terrace and steps, on a private residence in North Somerset. 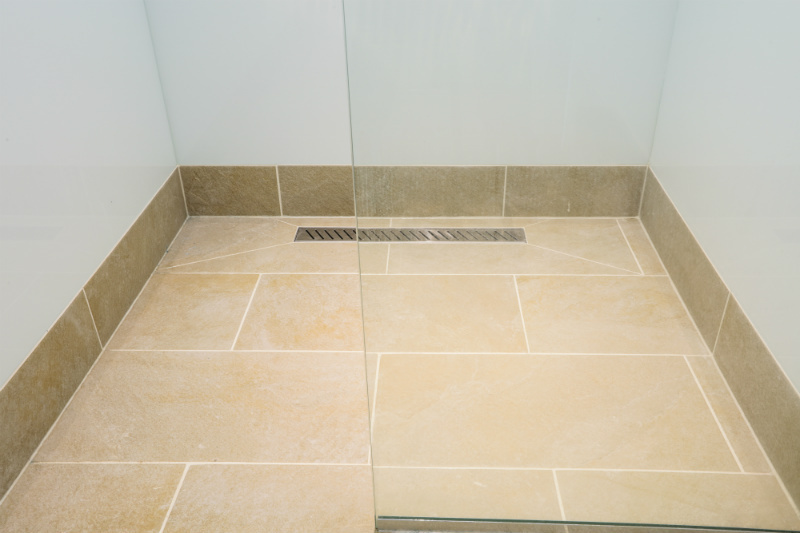 After a small number of meetings with the client and project architects and designers the originally proposed tile specification had been omitted in favour of a high quality porcelain tile range including special order nosing profiles we had recommended and which perfectly suited the performance and durability a swimming pool environment demands, as well as the clients design aspirations. Our supply and fit proposals and quotation was accepted later that year and the contract was undertaken and completed with great success during spring 2016. Levelling compound to the pool surround to create suitable falls into the pool. Waterproofing membrane to changing room shower area. 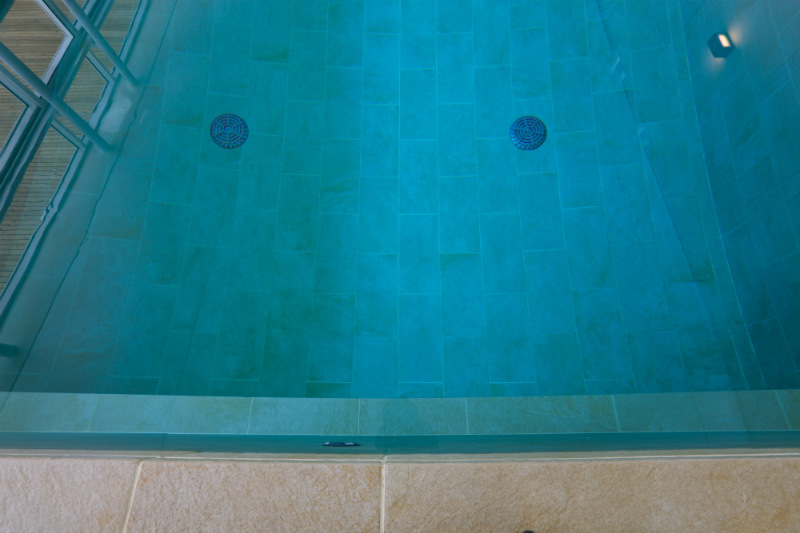 Decoupling matting to the pool surround flooring and adjoining rooms. 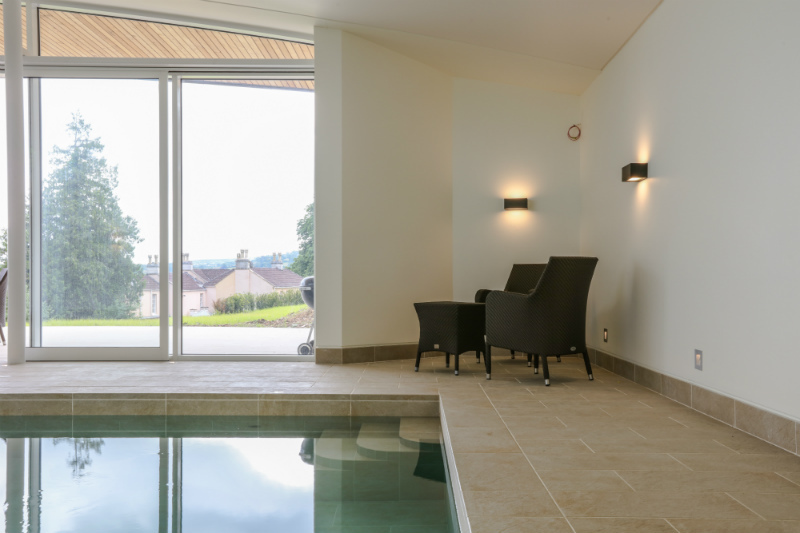 600×300 porcelain tiles, skirting and nosing profiles throughout the pool tank and adjoining rooms using high quality polymer enhanced flexible tile adhesive and grout. 600×300 porcelain floor tiles and nosing profiles to the external terrace, steps and risers using sand and cement mortar combined enhancing additives. 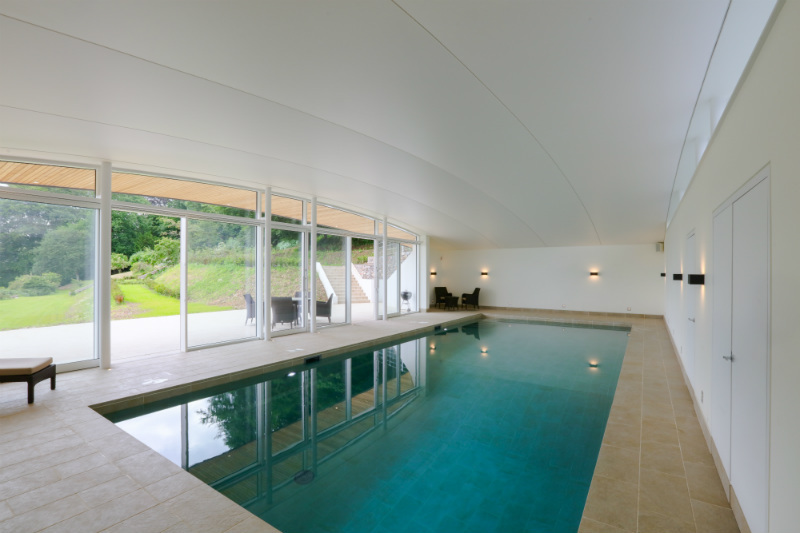 This truly exciting and rewarding contract demonstrated our professional project management capabilities and high quality installation methods and craftsmanship. 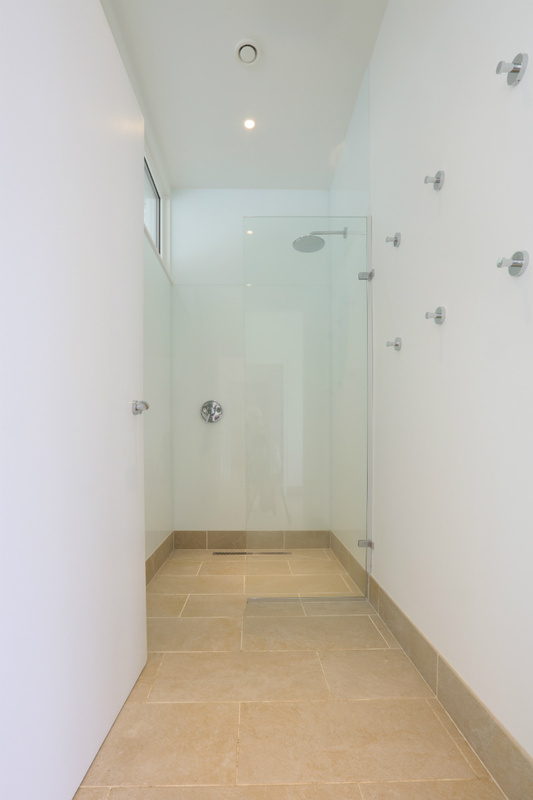 The contract was completed on time, within budget and to our customers and the home owners complete gratification.